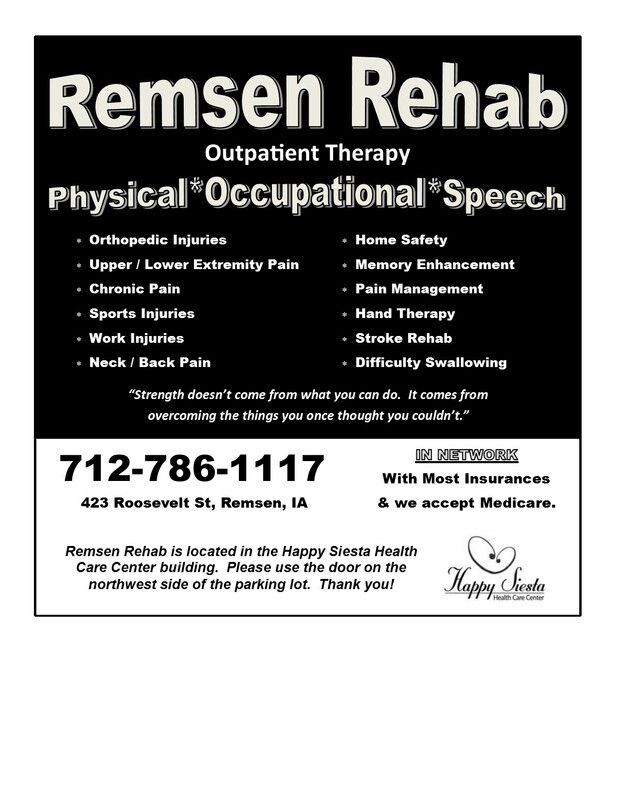 Trained therapists from Reliant Rehab are available to treat all of you physical, occupational, and speech therapy needs. 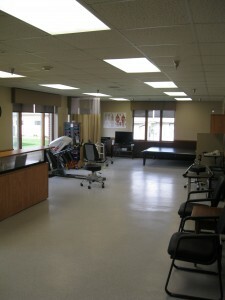 Happy Siesta’s Outpatient Therapy is a form of therapeutic treatment offered to those who do not require 24-hour care. Our services are available to all members of the community allowing care close to home. We provide our clients with an initial assessment and follow-up treatments. Outpatient therapy programs typically include one or more of the following disciplines: physical therapy, occupational therapy and speech therapy, which are provided by qualified and trained therapy professionals. Programs are tailored to meet the needs of individuals. Links below contain the required paperwork. Please print, complete, and return to Happy Siesta along with copies of insurance cards. After paperwork is received and insurance is verified a staff member will contact you to set up appointment for treatment. 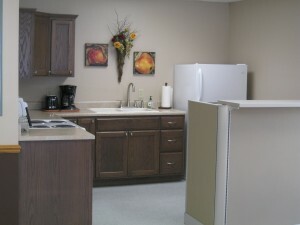 Call 712-786-1117 with questions. Call today to schedule your appointment. 712-786-1117. Trained nurses are available to provide intravenous therapy to patients needing IV medication on an outpatient or inpatient basis. 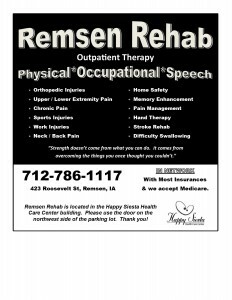 Call Jennifer with questions regarding this service.